Ageing as we know it is a relatively new phenomenon. In the last 200 years, life expectancy in the UK has almost doubled from 43 to 81 years. What we now consider to be “old age”, is much more common than in the past, despite higher levels of infant mortality and young disease, with deaths in the past bringing the life expectancy down considerably. Defining ageing is difficult. We all know about it, but what is actually happening beneath the wrinkling, grey hair and joint stiffness is still relatively unknown. Some define ageing as a loss of vitality and an increase in vulnerability. Others say it is a series of events leading to a higher susceptibility to disease and physiological functional decline. On a micro-level, it is a failure to repair tissues and organs due to cell damage over time. The truth is that ageing is a complex process caused by a multitude of factors. But if we can understand it, can we control it? One theory is of cell senescence. This is when cells are programmed to stop dividing after limited cell divisions. Normally, stem cells around our body can divide and replicate to replace older cells in the tissues. 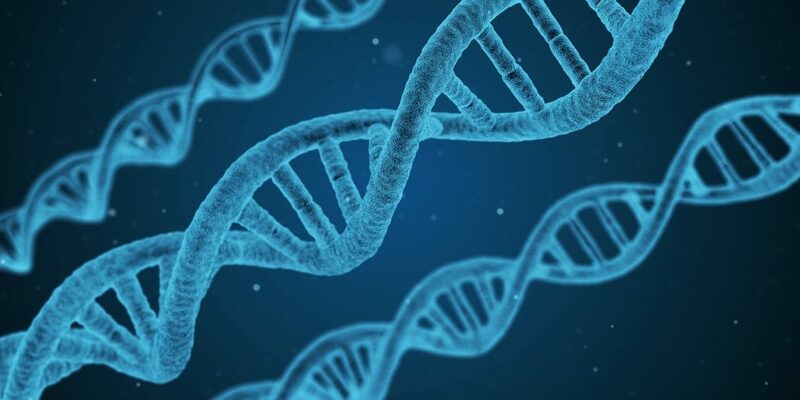 Cells make mistakes when copying genetic information and so, to avoid errors causing damage to the cell, it is thought that cells can only go through a certain number of cycles. In this way, the cell is protected against mutations culminating to cause cancer and uncontrolled division. However, this accumulation of senescent cells in organs can reduce their ability to repair damage and adapt to change. Another factor leading to ageing and reduction in mitosis is telomere shortening. As chromosomes in our cells are replicated, the ends of the DNA are often not replicated. The ends of our chromosomes have sections of DNA called telomeres, which do not code for important proteins but prevent chromosomes from fusing together and damaging the genetic code. These telomeres normally protect the important genes from being cut off during division. When these telomeres become too short, the cell stops dividing. The limit in humans – called the Hayflick limit – is about 50 divisions, at which point the telomeres are so short that continuing division would damage the important DNA and genes. An enzyme called telomerase can add DNA to the telomeres to counteract their shortening however as we age there is less telomerase in our cells, and the telomeres eventually become exhausted. It would seem obvious then – to stop ageing we need to inject everyone with telomerase, right? Well, in fact, scientists are very reluctant to start injecting telomerase, as it seems that cancerous cells often have very high levels of telomerase in them, which allows them to keep dividing past the usual Hayflick limit. Nevertheless, scientists have been able to keep human cells living for much longer than usual, without them becoming cancerous. This “immortalisation” of human cells, whilst being in the early stages of preventing ageing symptoms, could be used in mass production of cells for bioprinting tissues for transplantation. These cells could be utilized to help introduce effective pancreatic cells for diabetes suffers, skin grafts for burns and many more treatments. Oxidative stress on cells, including the DNA, lipids and proteins, has also been linked to the process of ageing, as scientists agree cell senescence and telomere shortening are only a small part of the progression. Metabolic reactions in the cell produce very reactive atoms of oxygen which can damage the cell. The body can usually combat oxidative stress with vitamins, but these defences become less effective with time. One study showed that worms treated with anti-oxidants lived 44% longer on average, highlighting the potential for treatments.